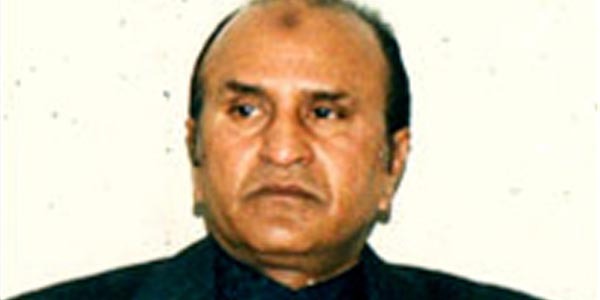 Renowned film, stage and TV actor Albela was remembered on his eighth death anniversary on Tuesday. Albela was born in Gojra, Toba Tek Singh district, and came to Lahore at a very young age to become an actor. Albela had a long film career as a comedian, but he was more popular as a stage actor. His first film ‘Rishtay’ was released in 1963. He had only one film ‘Wardatia’ (1991) in the main role. Some of his other films are `Badnam’, `Yaar Maar’, `Ishq Nachawe Gali Gali’, `Allah Ditta’, `Siren’, `International Lutairey’, `Majhoo’, `Abdullah The Great’, `Hero’, and `Khandan’. Albela’s biggest contribution was in the field of theatre. He performed in numerous stage shows and dramas. He is recognised as one of the actors who transformed theatre, evolving the present commercial theatre. He also performed in numerous television plays in his long career. Comedian Albela died of a heart failure in Lahore on July 17, 2004. GREAT ACTOR MAY HIS SOUL REST IN HEAVON AMEEN. GREAT HUMAN AND A LOVELY,LOVEABLE PERSON WITH A SYMPHATHETIC AND CARING HEART.